Two convicted terrorist who claim their human rights have been violated after being segregated in prison have taken their legal battle to Britain’s highest court, after failing to persuade appeal judges. Both jailed Islamists have taken their cases to Britain’s Supreme Court, complaining about their separation from other inmates. Algerian Kamel Bourgass, 35, who murdered a police officer and planned to carry out ricin poison attacks, and “liquid bomber” Tanvir Hussain, 31, are both serving life in separate prisons. According to the prison service, Hussain was segregated after he committed a serious assault on a prisoner in a cell. He also reportedly preached extremist Islamic ideology through his cell window, the Independent reports. “In neither case was there sufficient evidence to bring criminal charges or sustain internal prison disciplinary charges against them,” she told the court. Five Supreme Court judges in London are being asked to rule on the case, following a ruling from March 2012 when the two men failed to convince appeal judges their treatment was unlawful. In February 2011, a High Court judge said segregation didn’t breach their common law rights or their rights under Article 6 of the European Convention on Human Rights to fair treatment. Bourgass is serving 17 years for conspiracy to commit public nuisance by using poisons or explosives in relation to the 2002 Ricin terrorist plot. He is also serving a life sentence for murdering DC Stephen Oake, 40, with a kitchen knife during his 2003 arrest at a flat in Manchester, in which he also injured four other officers. In connection with this, Bourgass is also serving sentences for the attempted murder of two officers and wounding a third. 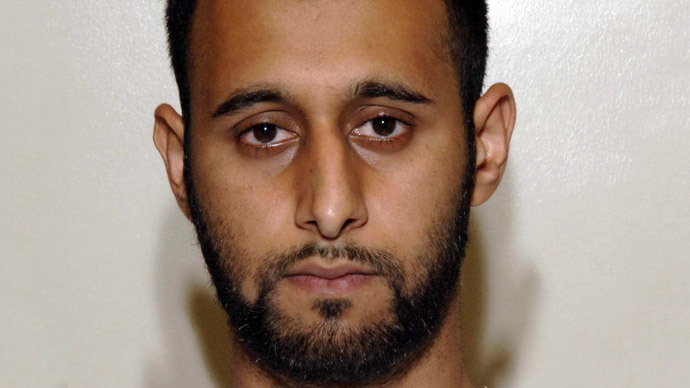 Hussain was one of three men convicted of a plot to launch suicide attacks on flights bound for America and Canada from London Heathrow using liquid bombs made of hydrogen peroxide hidden in soft drink bottles. He is serving life with a minimum of 32 years. The legal challenge has been criticized by many.